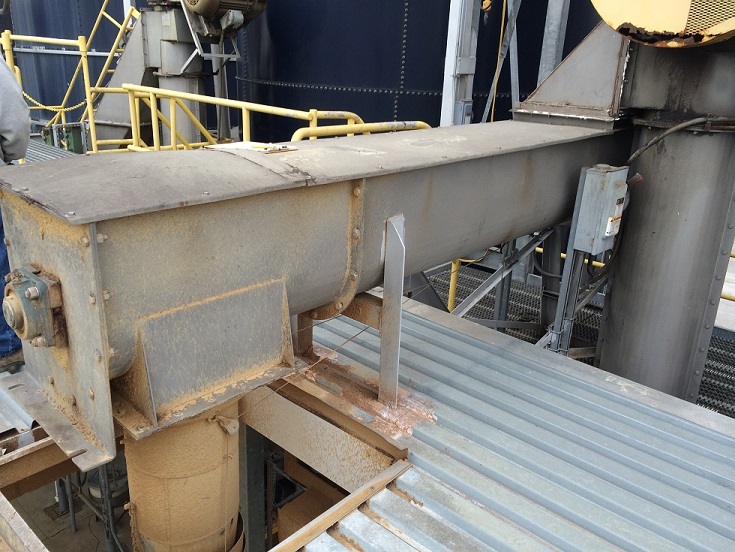 The weigh belt used to replace the screw conveyor accurately weighs batches of material, eliminating returned trucks. The original screw conveyor used to load material into trucks would overload the truck weight so they needed to be brought back and emptied. G.A. 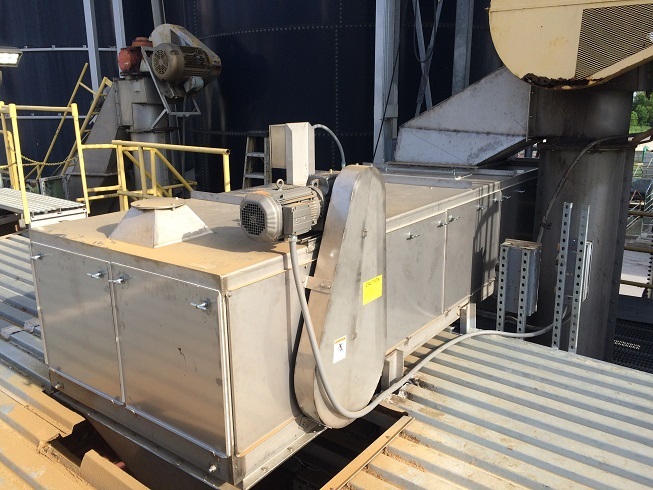 Wintzer and Son Co., Wapakoneta, OH, is a full service company that recycles animal by-products and used cooking oil and produces and manufactures quality animal feed and bio-fuel ingredients. The company identified a problem with the methodology used to load trucks with protein meal. Using screw conveyors and a stopwatch, its system had only basic functionality and would often miss the container target weight, forcing the truck to reenter the loading facility after it had been weighed to be either topped off to meet its fill capacity, or worse yet, partially unloaded to meet legal transport weight limits. The existing operational routine resulted in higher than acceptable over and under loading of trucks and was operationally inefficient both in terms of manpower utilization and the cost of discarded product. The company wanted to invest in a new process that would accurately and repeatedly hit container target weights, reduce product waste and eliminate the need for the truck and its cargo to be handled a second time. GA Wintzer and its scale service provider, Worthington Scale, approached Thayer Scale and asked about the use of a weigh belt to totalize and batch the correct amount of product into its containers and trucks. “We wanted a simple system that provided a place for the operators to enter the required batch amount, press a start button, and then deliver the product accurately and consistently,” said Andy Walters, V.P of operations, G.A. Wintzer & Son Co.
Thayer Scale built a weighing device that replaced a horizontal screw conveyor and fit into place with a minimum of extra work or modifications to the existing structure or operational and control logic. Thayer’s weighbelt had a huge impact on the truck loading process. It accurately and repeatedly hits the container target weights within a range of ±0.25 to ±0.5%. This saved transportation costs by optimizing fill efficiency, eliminating transportation fines by no longer exceeding legal weight limits, and reduced labor costs by freeing up the human resources required for second handling of the truck containers. G.A. Wintzer can now efficiently and effectively load trucks, eliminate excessive handling of the truck and cargo, and accurately predict container fill time’s instead of approximating it. “With our new Thayer Scale weighbelt loading trucks we have improved the efficiency and accuracy of our truck and container loading system and no longer worry about over or under loading our shipments,” said Walters. For more information on Thayer Scale, Hyer Industries Inc., call 781-826-8101, email [email protected], or visit www.thayerscale.com.